When you participate on a Community Goal, your level of contribution determines which Tier level of reward you are placed in. eg 78 Tonnes Shipped puts you in TOp75%. But, what if you knew that another 20 tonnes would move you into the Top50%, and hence another few $M Creds. The Website shows the Tier levels and a rough calculation of the 'Boundary' between Tier levels. Its all based on Anonymous Community Goal Data collected either by Manual Input or by use of an automated collection agent. 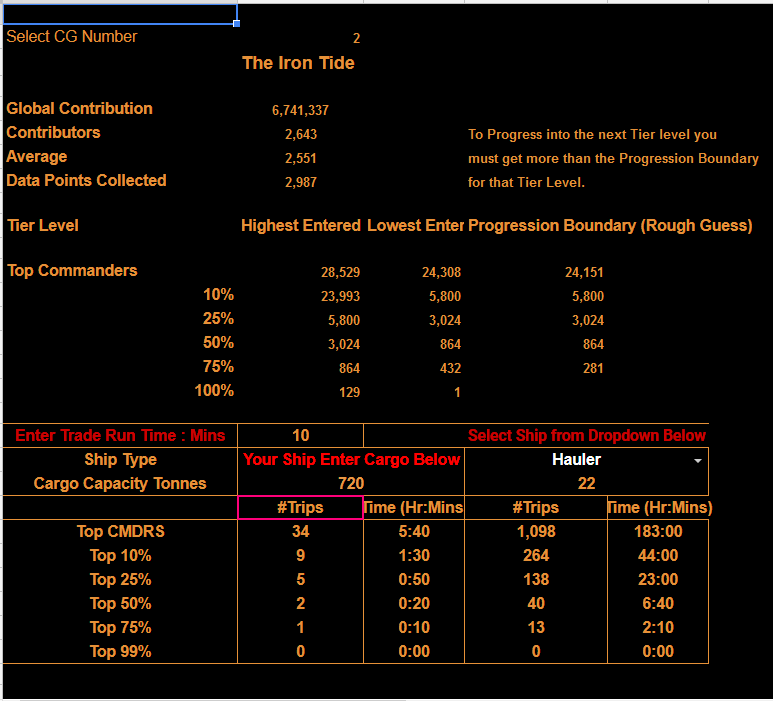 The Website also has a calculator for trade runs, so you can work out how man runs, based on your ship size, you need to make to reach a tier.